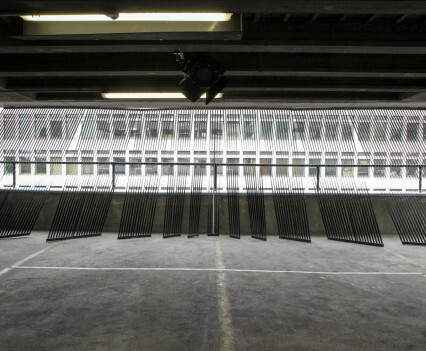 For two weeks the ICA took over The Great Eastern Street Car Park as a temporary gallery space with ART DRIVE! This was an opportunity to view BMW’s unique collection of ART CARS for the first time in the UK. The Collection, initiated over 35 years ago, consists of BMW cars transformed into artworks by leading international artists, using the form of the car as their canvas. 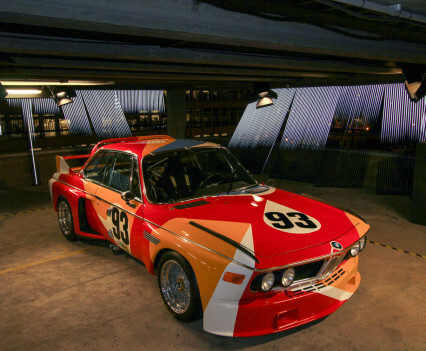 BMW ART CAR artists: Alexander Calder, Sandro Chia, Ken Done, Ernst Fuchs, David Hockney, Jenny Holzer, Matazo Kayama, Jeff Koons, Roy Lichtenstein, Esher Mahlangu, Cesar Manrique, M.J Nelson, A.R Penck, Robert Rauschenberg, Frank Stella, Andy Warhol. 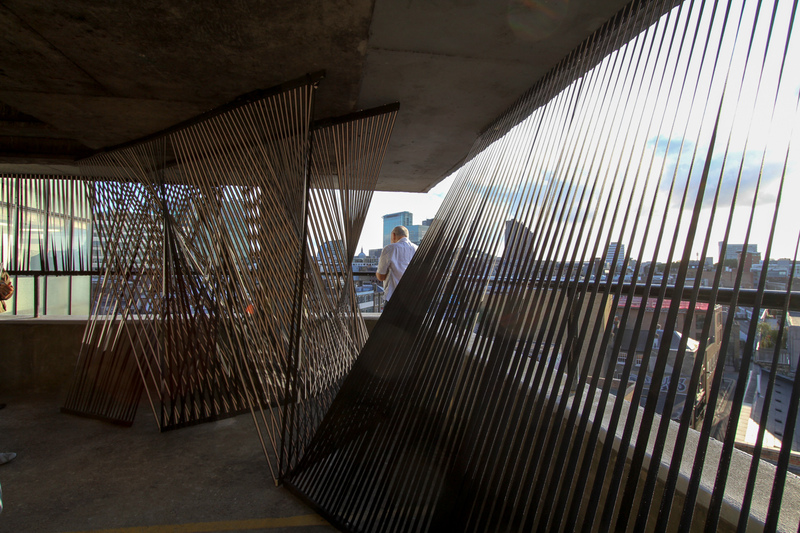 Loop.pH was invited by the ICA to create the exhibition design for this huge Shoreditch landmark. 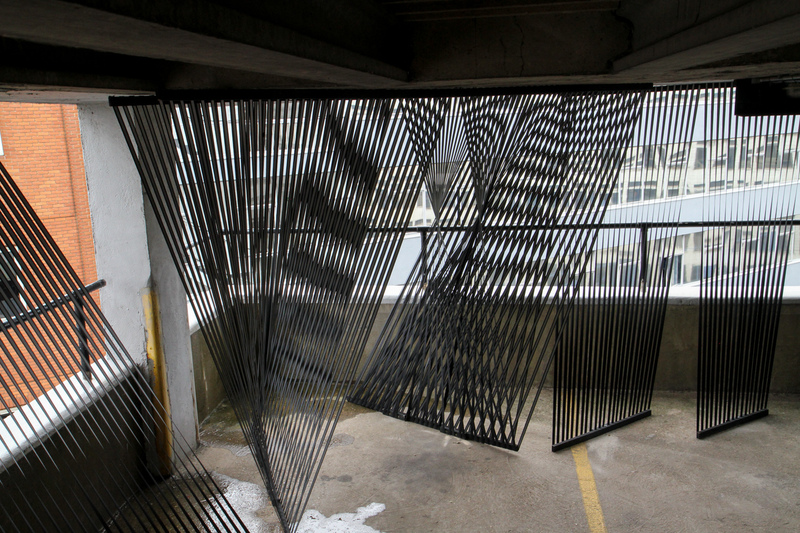 With minimal time and resources we developed a concept of optical effect with a vertical web of taught black fibre lines. 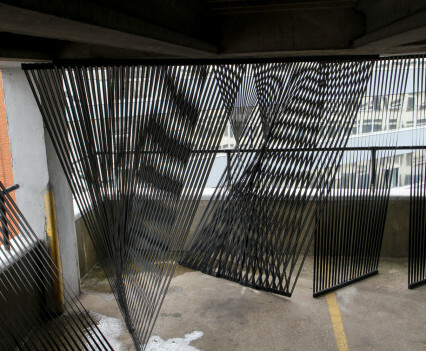 Rather than working with lines of light we worked subtractively with black to create shadows throughout the space and spanning over seven floors. It was a great opportunity to explore our parametric design tools in combination with architectural ideas around weaving into a structure of such scale. 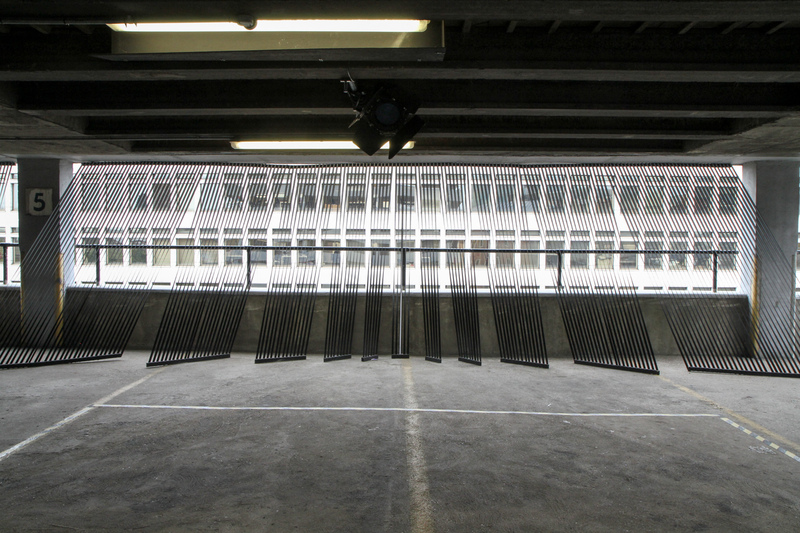 The car park is a very open and porous building and we literally stitching into the building creating continuity and connection between each exhibition level. Share the post "ART DRIVE! 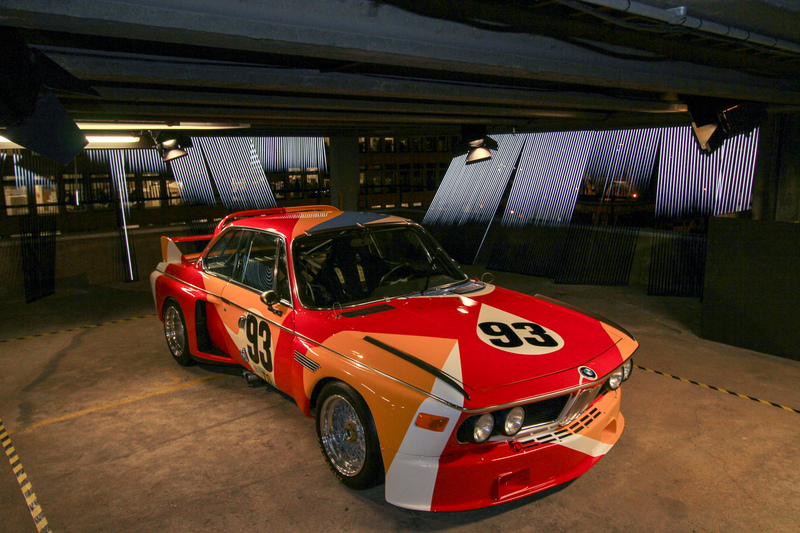 BMW Art Car Collection"